It’s true that many doctors today, including Manhattan GI doctors, discourage their patients from drinking excessive amounts of coffee. Is it because of the caffeine? Is decaffeinated coffee healthier? 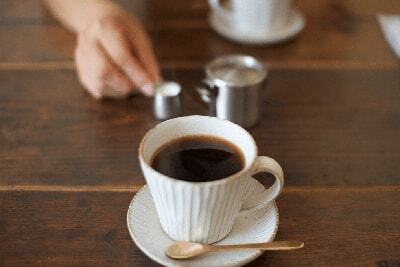 Can that daily cup of coffee (or two or three) really affect your digestion? Because of coffee’s acidity, it can adversely affect the lining of your stomach and intestines. If you drink a lot of coffee over an extended period, it may worsen some existing conditions that you may already have. It can worsen the symptoms often associated with gastritis and reflux. Coffee can also stimulate the movement of your intestines. This can lead to bowl movements. Coffee has been described to known to cause other digestive symptoms. As an acidic beverage, coffee can worsen the symptoms of heartburn. This can lead to worse symptoms of indigestion. Some anecdotal evidence has shown that coffee and caffeine can change the speed with which the GI tract moves. This can change the rate at which food is digested. This can cause abdominal pain. The caffeine in coffee also is said to trigger insomnia, anxiety, and even an irregular heartbeat. This can lead to symptoms which affect the body as a whole and not just the GI tract. If it’s the caffeine that is affecting you, switching to a decaffeinated drink will certainly help. Remember, though, that decaffeinated coffee isn’t a cure-all. As mentioned above, it might make some digestive problems worse. Caffeine does increase the stomach acidity in some people, which often leads to heartburn. If decaf coffee doesn’t stop your symptoms, limit your coffee consumption to one cup a day. Pay attention to the way coffee affects your body. Try cutting down or finding a substitute. If limiting yourself to one cup of coffee a day seems like going cold turkey, you’re drinking way too much coffee! To benefit your health and your digestion, see a doctor or gastroenterologist Dr. Shawn Khodadadian of Gastroenterology New York practice for help cutting your habit down to size. Finally, if you suffer from GI problems like Crohn’s disease, Irritable Bowel Syndrome (IBS), or ulcerative colitis (UC), you may not want to drink coffees it could exacerbate some of your symptoms. When in doubt, see your doctor! For more information about how coffee affects your digestive system, contact NYC Gastroenterologist, Dr. Shawn Khodadadian.